Make a lasting impression! Whether you’re printing for movie theaters, fundraising raffles, KIOSK tickets, promotions, or other special occasions, find the paper you need to keep your events running smoothly. 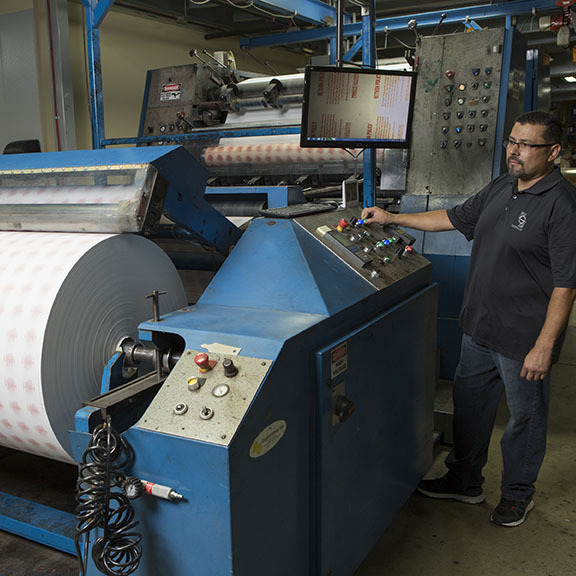 From blank to full color, horizontally or vertically perforated or with additional security enhancements— you can rest easy knowing that custom printing means you can get your tickets any way you want them. Custom printing; brand awareness, fraud prevention security feature, return policy, variable data, coupons, customer survey and marketing message.